The Redtail Botia is an attractive and popular loach, a favorite species for many aquarists! The Redtail Botia Yasuhikotakia modesta is a very common freshwater loach and is quite attractive with a very distinct body shape and coloration. It has a compact heavy body build, but can get quite large. It can reach up to at least 10 inches (25 cm) in length in the wild, though in the aquarium they are a bit smaller, getting up to about 7 - 8 inches (17-20 cm). The natural coloring of this loach is most attractive and quite variable. It ranges from blues to grays and sometime tints of green with fins and a tail that can be yellow, red, or orange. As juveniles they can have more intense green accenting as well as some dark stripes. With this variable coloration its not surprising that the Redtail Botia has a number of descriptive common names. It is also known as the Blue Botia, Orange-Finned Loach, Blue Loach, and other variations of these. This pretty loach can retain its beauty with regular water changes and by including brine shrimp or other crustaceans in its diet. There are also dyed varieties that will occasionally be offered that are called Painted Botias or Colored Redtail Botias. They can be pink, green, yellow, orange, purple, or teal in coloring. These colorized fish are not recommended as they are said to have health problems and often early deaths. These fish have a unique personality being lively yet somewhat shy, and they can be a bit aggressive. If they are kept in a school however, they make a good community fish with larger more robust tank mates. Keep them with at least four of their own species or they can get aggressive towards other fish even while demonstrating shy behaviors (hiding). Suitable tank mates include large gouramis, barbs, semi-aggressive cichlids and most other loach species. They can be aggressive with smaller fish and will nip at long-finned fish, such as angelfish. They can be quite territorial bottom dwellers as well, so it is best to avoid competing fish such as Corydoras and catfish. The Redtail Botia or Orange-Finned Loach is a long lived, durable, and undemanding fish. Provide lots of hiding and resting places in caves, rocks, and roots. A refuge for each fish is important. They thrive in a well planted tank but are avid burrowers in their pursuit for food, and will often uproot them. They will munch on snails and are good for snail control. This is one of the loaches that has the unique intestine that can act as a respiratory organ allowing them to absorb oxygen at the surface directly from the atmosphere. Be sure the aquarium is covered as they are great jumpers. They also make audible clicking sounds. The Redtail Botia Yasuhikotakia modesta, (previously Botia modesta) was described by Bleeker in 1864. They are found in northeastern India; Thailand, Vietnam, Cambodia, and the Malaysian peninsula. This species is listed on the IUCN Red List as least concern (LC) because it has a wide distribution and although it is heavily utilized in the aquarium trade, no major threats are identified at present. Other common names they are known by include Blue Botia, Orange-Finned Loach, Redtail Loach, Blue Loach, Orange Fin Loach, and Painted Botia. It has also been known by the common name Red-finned Loach, which was actually ascribed to its relative with a similar appearance, the Silver Loach or Red-Finned Loach Yasuhikotakia lecontei. These two fish were often confused, so this common name is now being used much less often for either of these species. They are found in large rivers with muddy bottoms and in flooded fields. These loaches are a strongly migratory species. The loaches in the Khone Falls of the Mekong basin will migrate during the flooding season to spawn into tributaries and small streams and return when the waters recede. This loach feeds at night on worms, crustaceans and insects. The Redtail Botia is a rather stocky loach that can reach almost 10" (25 cm) in nature, though often a bit smaller in the aquarium at about 7 - 8" (17 - 20 cm). Their life span is generally about 5 - 12 years. Its coloring is quite variable ranging from a bluish to grayish body, sometimes with a slight green tint. There is a dark vertical stripe at the base of the tail, though it is often rather indistinct. The fins are a bright orange to red color. As juveniles they can be an iridescent green marked with several narrow dark bars. The Painted Botia or Colored Redtail Botia is sometimes available to hobbyists. However obtaining dyed specimens of the Redtail Botia is not recommended. These fish are dyed a pink, green, yellow, orange, purple, or teal coloring; often having a blotchy appearance. It is reported that this is done by injecting dye under the skin and it will fade in a few months. These colorized fish are said to have health problems and often early deaths. Size of fish - inches: 9.8 inches (24.99 cm) - These fish reach up to about 7 - 8" (17.8 - 20 cm) in the aquarium though In the wild these fish can reach almost 10" (25 cm). Lifespan: 12 years - This fish can have a lifespan of about 5 - 12 years. In nature their main diet consists of worms, crustaceans and insects. However since they are omnivorous, the Redtail Botia or Orange-Finned Loach is not a picky eater. They will generally eat all kinds of live foods, sinking pelleted and tablet foods, flakes, and algae. They like frozen foods as well. To keep a good balance give them a high quality flake or tablet food everyday. Feed mosquito larvae and brine shrimp (either live or frozen), tubifex, daphnia, and some vegetable foods such as algae wafers. They will also eat snails, so are good for snail control. The most important thing for these loaches is that they always have clean and well-oxygenated water. Frequent water changes of about 30% a week are needed for the Redtail Botia. With your weekly water change make sure to vacuum the gravel to remove all excess food and waste, but It's best not to remove any bio film on rocks and decor. A magnet algae cleaner normally does a great job in keeping the viewing pane clear. The Redtail Botia will swim mostly on the bottom of the aquarium, but will also swim in the middle of the aquarium. Never introduce this loach into a biological immature setup as these fish require pristine water. This fish needs a larger aquarium of 45-55 gallons when young and up to 75 gallons as adults. They do best in a soft to medium water with subdued lighting. They also need good water movement that provides plenty of oxygenation. The tank water should turnover at least 10-15 times per hour. An undergravel filter is a great choice for these fish as it creates high oxygen through out the tank as well as reducing the waste. Adding a canister filter or power head to the setup will make the proper current for this loach. It is recommended to have a tank set-up that resembles its natural habitat with plants, open areas to swim, and places for retreat. Because they are burrowers, the substrate needs to be a fine gravel or sand that does not have sharp edges. The tank needs to have ample hiding places for this shy fish such as rocks, caves, and roots to give it some dark areas to retreat. Be sure to provide hardy plants with the roots protected and have decorations firmly placed on the glass bottom so they don't fall over. Plastic tubes also make safe and excellent hiding places. These fish can and will jump out of the tank if given the chance so make sure to have a tight fitting cover. Minimum Tank Size: 55 gal (208 L) - Juveniles will be fine in a 45 - 55 gallon tank, but adults will need up to 75 gallons. Water Region: Bottom - These fish are mostly bottom dwellers, but will occasionally swim in the middle of the aquarium. They are a timid nocturnal fish getting quite active at night, but they can be aggressive with tank mates.They are best in a community aquarium with other large, robust, and mildly aggressive fish. They need to be kept in schools (with a minimum of four) to feel comfortable and come out of hiding, as well as to reduce aggression towards their other tank mates. Especially suitable tank mates are gouramis, barbs, semi-aggressive cichlids and most other loach species. Avoid smaller fish and fish with flowing fins such as angelfish. They should not be kept with slow swimming long finned tank mates. Because they are boisterous in nature so monitor other bottom dwelling tank mates. It's best to avoid competing fish like Corydoras and catfish. Once acclimated they are quite active and lively. Slow Swimmers & Eaters (): Monitor - May nip at long-finned slow swimming fish. Shrimps, Crabs, Snails: May be aggressive - They will eat snails, so are good for snail control. Mature males are smaller and more slender than mature females. The Redtail Botia or Orange-Finned Loach have not yet been bred in the aquarium and they are not yet bred commercially. Ease of Breeding: Unknown - Have not been bred commercially. An outbreak of disease can often be limited to just one or a few fishes if you deal with it at an early stage. When keeping these sensitive types of fish, it is common to catch deteriorating water conditions and disease before other fish are affected. The best way to proactively prevent disease is to give your Redtail Botia the proper environment and give them a well balanced diet. The closer to their natural habitat the less stress the fish will have, making them healthier and happy. A stressed fish will is more likely to acquire disease. 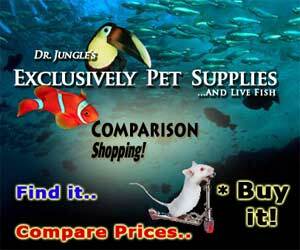 The Redtail Botia or Orange-Finned Loach is readily available at pet stores and online. Occasionally the Painted Botia or Colored Redtail Botia may be offered for sale, but purchasing these dyed fish in not recommended. They are injected with dyes under the skin, often giving them a blotchy appearance. 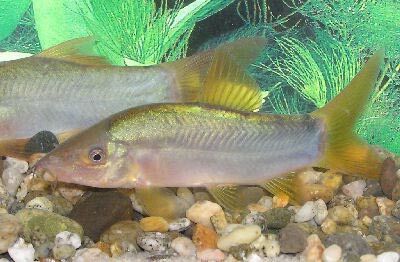 The coloring usually fades in a few months and these fish are reported to have more health problems than normal Redtail Botia. i have five 5 Botha loaches in my 125 gallon. Recently at water change I noticed swollen eyes on two. One was worse than other. I have treated with medication for two times. They seem somewhat better but not gone like others. They are very active and come out for feedings. Any suggestions or comments if this isn’t,t Popeyes like I first thought. They are not red & don.t look infected. Just not sure what to do next. The worst one is three and half years old. The other one is probably 10-12 years old. Should I just wait and keep watching? I have 3 red tail botia loaches and would like to find a home for at least one of them. 4 1/2' long The other two are 3-3 1/2' long. I will give away to good home. Keeps my tank clean but getting too big for my tank. I had a red tail botia jump out of my tank and was thinking of getting another to replace him. We called him Kramer, because he was a bit of a spaz. Where are you located? I have two in my 125 along with other fish. I was just getting ready to buy a few more. I am interested. I am looking to buy a red tail blue botia loach. I have shop around and can't find any for sale. Wanting one around 2' to 2 1/2'. Also do not want to spend an arm and leg for one. It needs to be reasonable. Hoping to find one. Thank you. I am looking to buy a redtail blue botia . I have shopped around and can not find any for sale. looking for one around 2' to 2 1'2'. I also do not want to pay an arm and leg for one. It needs to be reasonable.